 Selling on used vehicles is a key strategy for many automotive companies, and that was no different for leading commercial vehicle manufacturer, Scania UK. 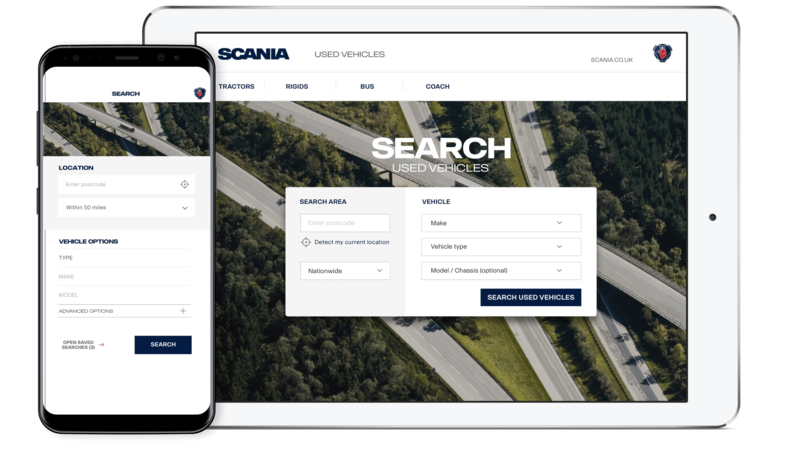 The iconic brand tasked AtomicMedia to create a new online and mobile app system that would make buying and selling used Scania vehicles easy. A key requirement was to build a system that worked seamlessly across all platforms including web, mobile and tablet. The solution also needed to allow Scania resellers to easily add machines. Our web and app teams worked in close collaboration to ensure that the experience was seamless across all platforms, while ensuring they took advantage of the native technology each platform offers. The app’s search feature was key. As seach results are often unhelpful, we spent time ensuring the search function would deliver a considered list of results. We combined UX best practice with a simple, intuitive interface that immediately took users to the results they wanted and allowed them to find out more. The mobile format allowed vehicle inspectors or valuers to quickly add vehicles to the Scania marketplace while still on site. It meant they could perform checks and add information directly into the device, and scan vehicle identification numbers (VINs) to bring up data relating to the vehicle. We also added guidance on photography, with photo overlays to help users take images at a similar angle. This helped users make easy comparisons and gave search results a clean, uniform look. Scania products are renowned for being functional, stylish and extremely well engineered and our solution had to match those brand values. While the manufacturer already had brand guidelines, they were created with more traditional media in mind, meaning we had to combine the guidance provided with contemporary user-experience design best practice. This led to a slick, smart interface with touches of trimmed styling. 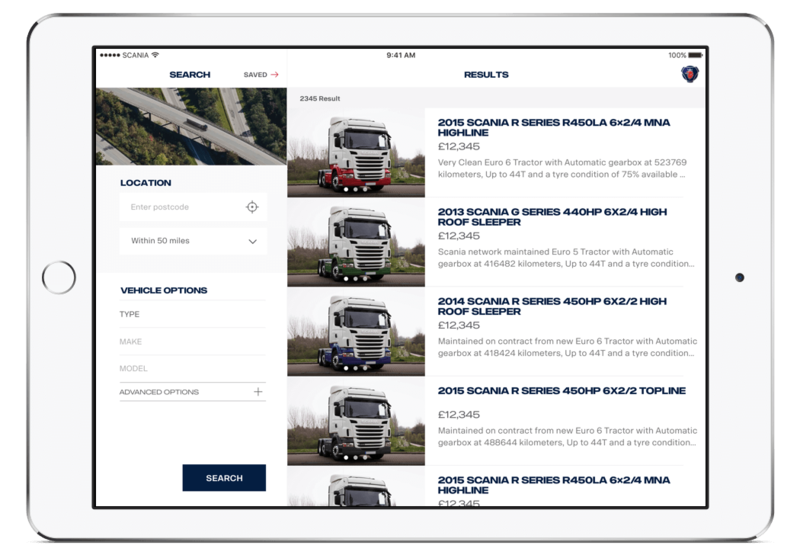 Following the successful launch of the app, Scania's wider business adopted the system easily and has since seen massive growth in their second-hand sales departments. Its success has seen Scania come back to us repeatedly over the past 18 months for the addition of new features that allow for even greater functionality in the hands of their staff and the user.